Stir together all ingredients except coarsely chopped nuts until well blended. Shape into ball; roll in coarsely chopped nuts. Wrap cheese ball in plastic wrap and refrigerate at least 8 hours but no longer than 48 hours. Let stand at room temperature 30 minutes before serving. 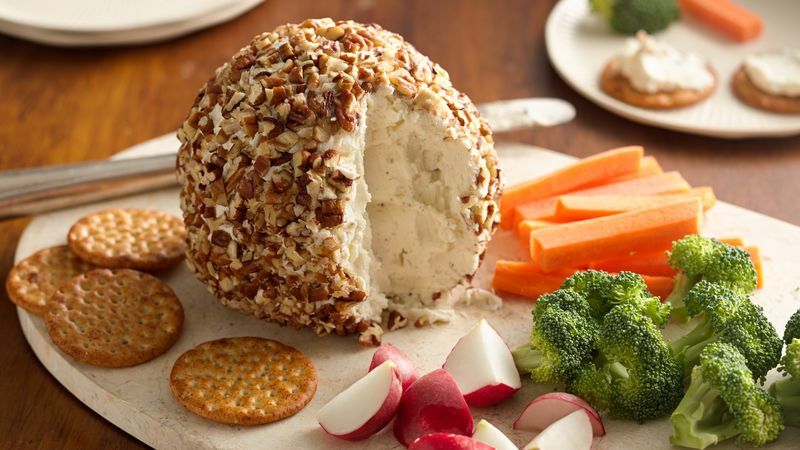 Special Touch: Make a stunning presentation by sprinkling the cheese ball with chopped fresh parsley. Place cheese spread on a pretty serving platter, and surround it with a variety of crackers so guests can choose what they like. Try one of the cracker variety packs containing several types of crackers in one box. Variation: Add about 2 teaspoons of a favourite dried herb—basil works especially well—to the cheese mixture for an extra layer of flavour.